Market Outlook - April 2015 | Rocco & Associates Wealth Management, Inc.
As we enter into April, we continue to believe that the market is destined for slow, yet volatile, growth over the next year. The bottom line is that volatility is here to stay in the US, but we have strategies that we believe will help you manage the swings. While some are concerned over rising interest rates and instability in Europe, we believe that those potential drags on the market will be somewhat offset by the increasing value of commodities and the rising value of the dollar. We continue to monitor the concerns in the Middle East (ISIS, Iran, Yemen, etc. ), but have not seen those conflicts heavily impact the market. Because we believe that there will be slow growth domestically, we are looking for other sources of growth for those clients with a higher risk tolerance and longer time horizon. Since Europe and Japan have started to use the same bond buying economic recovery model as the US, we are optimistic that their recoveries will mimic our own. Therefore, we see large dividend paying companies recovering the fastest as they did in the US. Oil is another market catalyst that we are watching. However, we do not buy the sensationalism that is being voiced by all the major business media outlets. 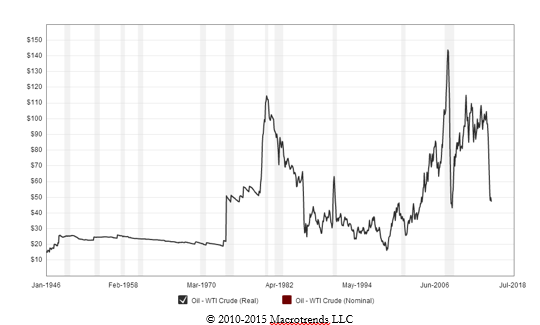 If you look over time, it is clear that oil is very cyclical, and every 7-10 years has often experienced a major drop. We see this current price drop as another dip in the cycle and look for oil to steadily increase over the next several years. Lastly, politics will still influence the markets, but luckily the election is still too far away for it to impact them currently. The Federal Reserve is the much more interesting governing body to watch because currently the ball is in their court with regards to interest rates. Everyone knows that they are likely to raise rates, and most assume it will be this year, so investors are holding their collective breath. However, because it is so widely known, it is possible that a lot of the market impact of rising rates has already been built in to pricing and will not have as large of a detrimental impact as many think. Also, because of our firm’s position on bonds and the strategies we have employed, we do not see rising rates as a significant risk to our clients’ bond positions and think it will provide more bond buying opportunities in the long run.